Versatile in function and style, this ottoman is the ultimate living room accessory. 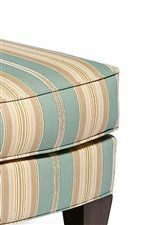 Whether used for extra seating or paired with a chair as a footrest, this item's plush box-faced cushion will give you the soft support you need to truly relax. Framed by clean lines and tapered wood legs, this ottoman is infused with casual-contemporary style that will update any room with a look that is both fresh and relaxed. 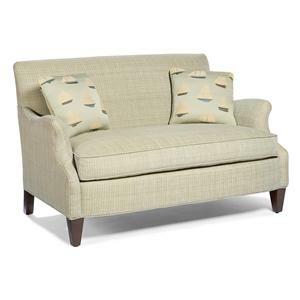 Small enough to fit snugly in any corner, this furniture accessory will always come in handy. 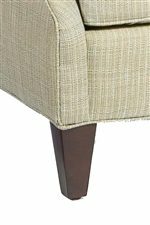 The 5706 Box-Faced Ottoman with Tapered Wood Legs by Fairfield at Belfort Furniture in the Washington DC, Northern Virginia, Maryland and Fairfax VA area. Product availability may vary. Contact us for the most current availability on this product. 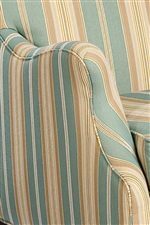 The 5706 collection is a great option if you are looking for furniture in the Washington DC, Northern Virginia, Maryland and Fairfax VA area.